Your 2-way communication headset is here! The all new Peltor PowerCom Plus II has new features that make this 2-way radio headset the most efficient way to communicate in high-noise environments. The standard headband model was designed with comfort in mind. This headset has everything needed for its operation contained within the headset. The 2-way radio headset does not require a belt radio, wires, or base radio stations. See the PowerCom Plus II video. Fully programmable for UHF frequencies between 430 MHz to 470 MHZ. Headband (NRR 25 dB), neck banded (NRR 25 dB) or hard clip- in model (NRR 24 dB) available. MUST BE PROGRAMMED. Some frequencies require FCC or Industry Canada license. Custom programming is included with the 2-way radio headset at no extra charge. We will contact you after your purchase with regards to the channels that you would like programmed along with other custom programming options. 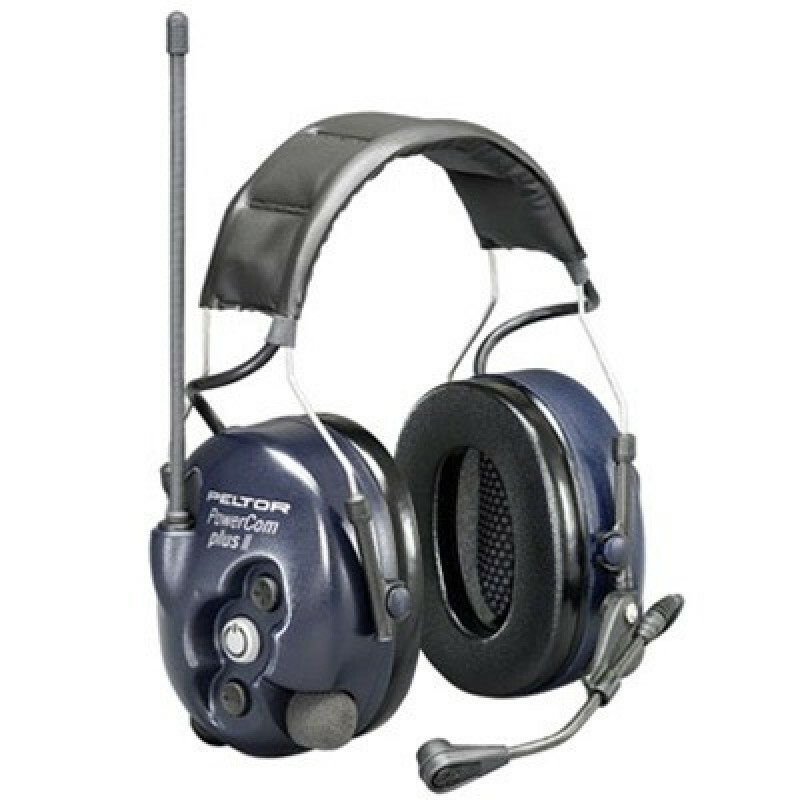 The Peltor PowerCom Plus II 2-way radio headset has added benefits over the prior Peltor PowerCom Plus Model. The greater UHF frequency band allows you to use with channels that offer greater reliability and less interference. You are no longer limited to "family band" frequencies (462-467MHz). With the Peltor PowerCom Plus II you have the greatest range of frequency selection and will not out grow your 2-way radio headset.